As one is never ready for their loved ones to go and leave this World but one has no choice but to accept the Will of God. "I used to be her angel and now she is mine" a Beautiful way to express your remembrance and honor your loved ones by this quote. 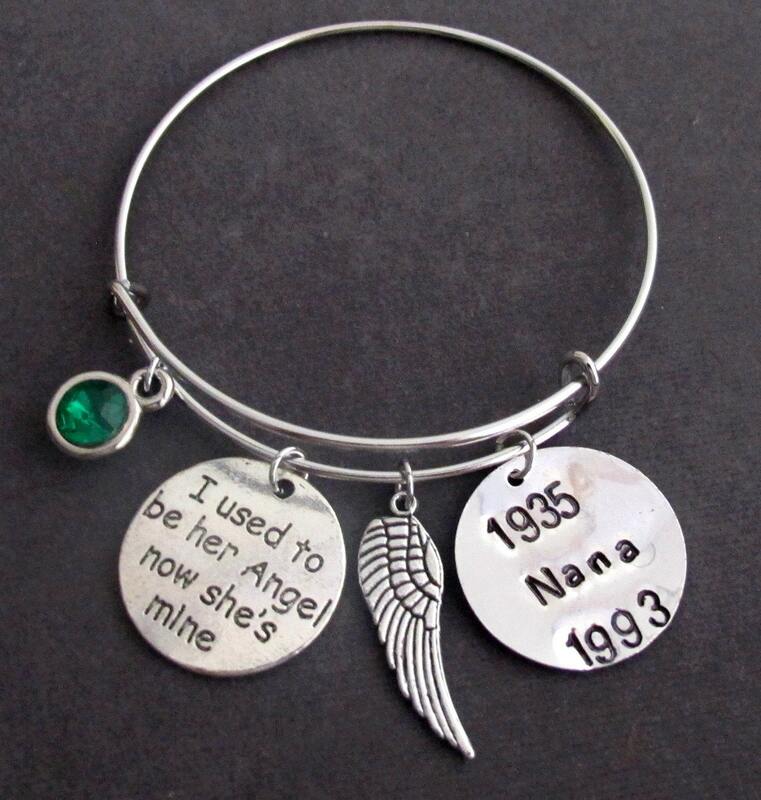 This expandable Bangle Bracelet has Angel Wing, Birthstone, 2 Hand Stamped Round Discs 1-Quote, and 2- Stamping of your choice as well as the year of birth and death as its charms. Please Mention Both the years before check out of this order. Thank You!